Noyes Automotive & Tire VIP Tire Storage Program! You can store your tires, or we can store them for you! 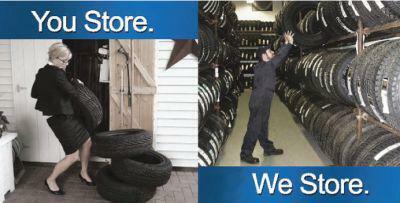 Noyes Auto will store your winter or all season tires for up to 12 months! All-season or winter tire changeover VIP discount! Need a lift? Noyes Auto will get you back to work or home so you don't miss a beat! Ask for details; limited space.